We are very glad to announce that Team Qmaths has offered free weekly LIVE MOCK TESTS for SSC CGL 2017 Tier-2 as well as SSC CHSL 2017 / CGL 2018 Tier-1 for its followers. You may avail the live test as per the following schedule. 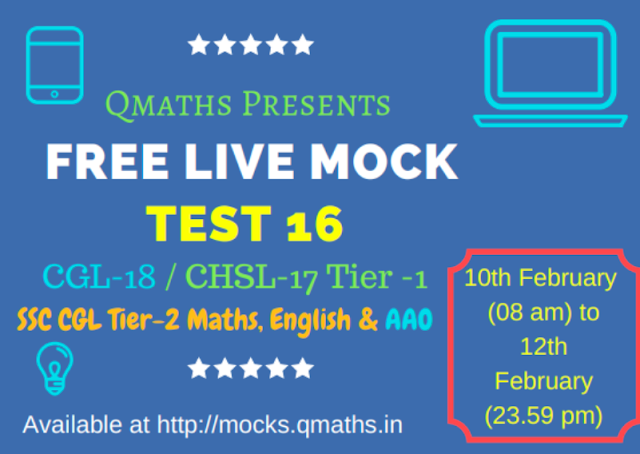 Use Coupon Code "QMATHS20" to avail flat 20% Discount on Paid Mocks.